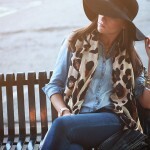 Happy “How To” Wednesday loves! Here’s what you need for your skirt: Hobby Lobby has it all or click-through to Amazon for one stop shopping! 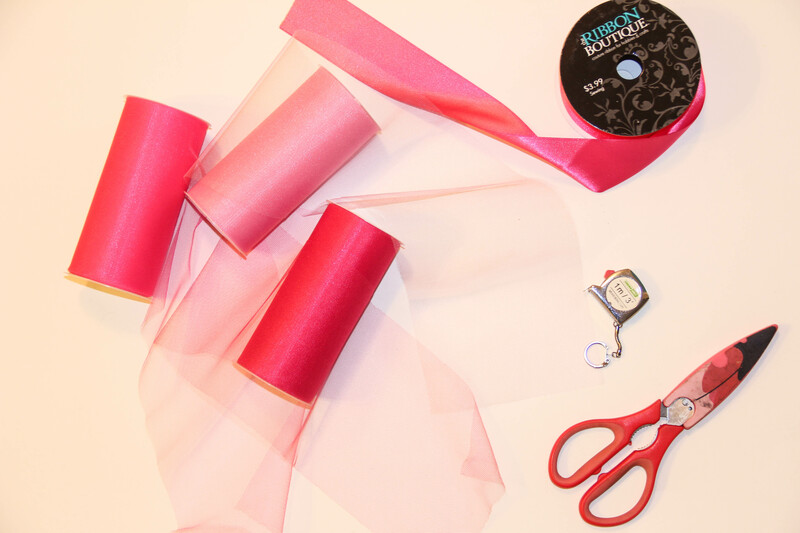 Depending on how long you want your skirt to be will determine how many spools of tulle you need. I ended up using 9 because I made a midi length skirt. If you want a short skirt to wear during a race or as a ballerina or for a baby/toddler/dog you only need 3, 4 spools max. I had originally intended mine to be knee-length but like I said I tend to wing things so I added a few inches after my initial measurements and made a wayyy longer skirt then planned, oops. Hence the accessive amount of tulle, ha. 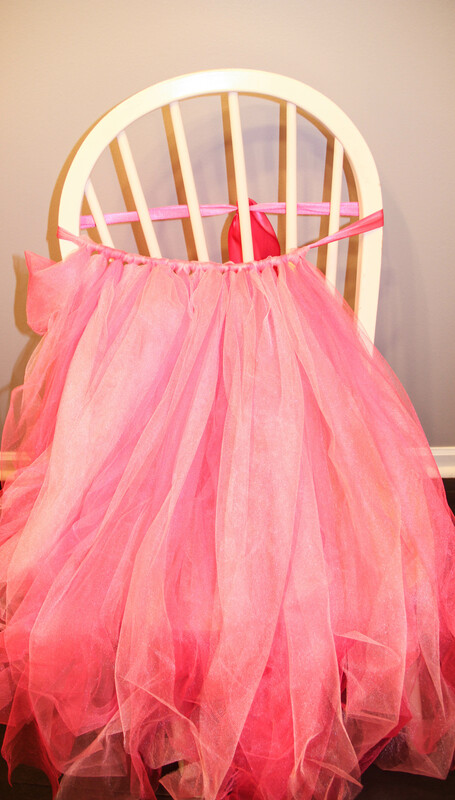 It was still cheaper than buying one buttt soo much tulle and pink everywhere! 🙂 Measuring is a good idea folks. Speaking of.. Step 1: Measure around your waist or where you want the skirt to sit and then add at least 6 inches to account for the bow in the back. 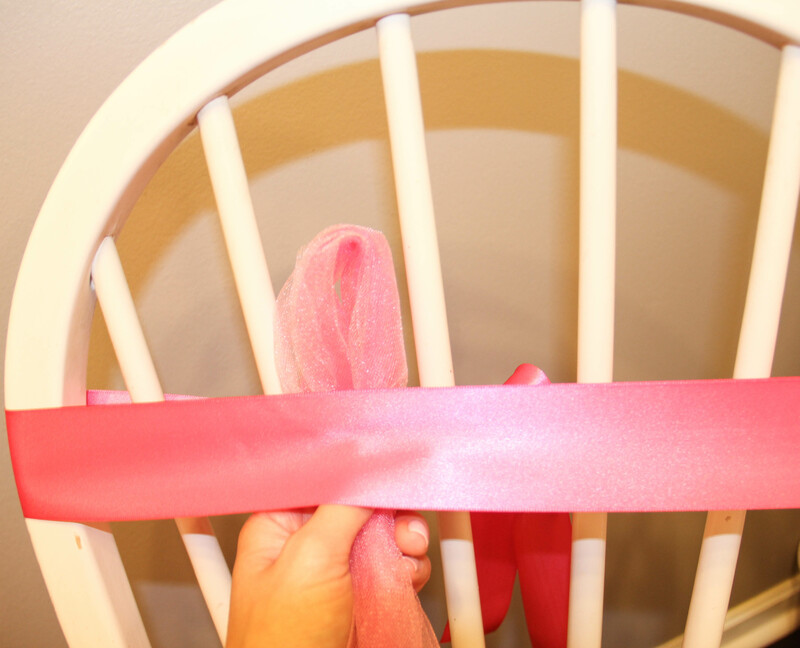 Cut your ribbon to this length. Step 2: Decide where you want the skirt to hit on your leg and measure that length. 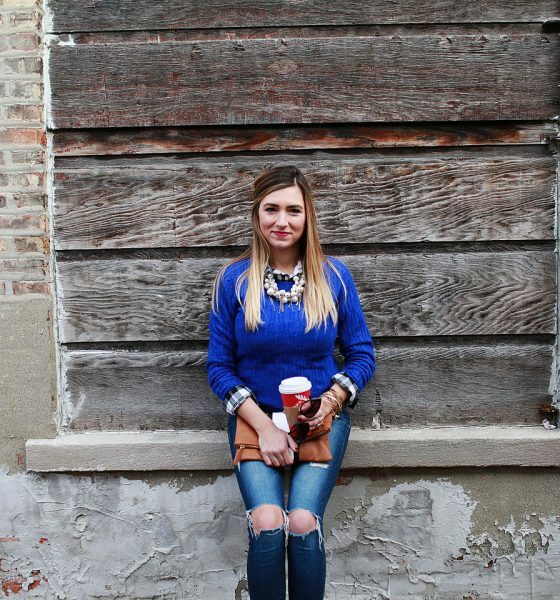 Make sure to add a least 2 inches to account for tying it over the waist band. 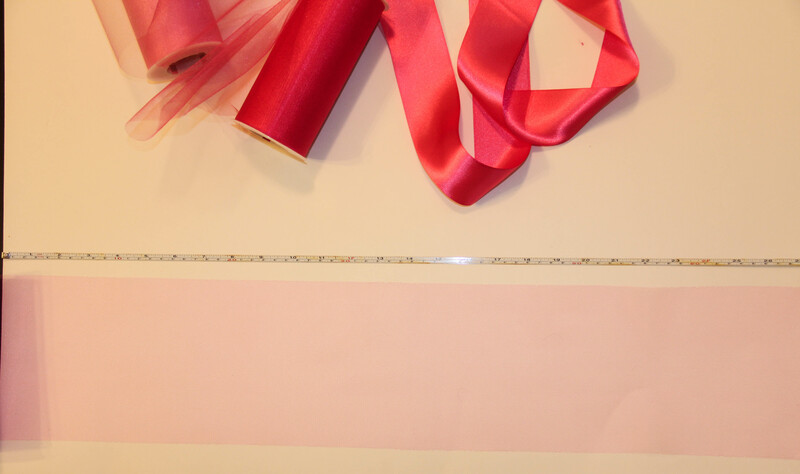 Step 3: Measure and cut all of your tulle to the desired length. I cut one color at a time and kept them separate. If you aren’t using multiple colors you can just make one big pile. Use the first piece you measured to measure out the rest of the pieces and cut away. 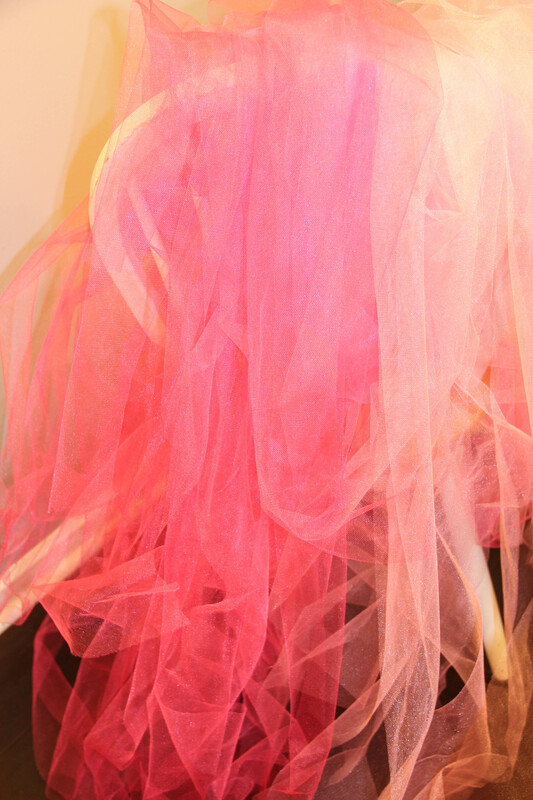 Here’s how it will look when all your tulle is cut. 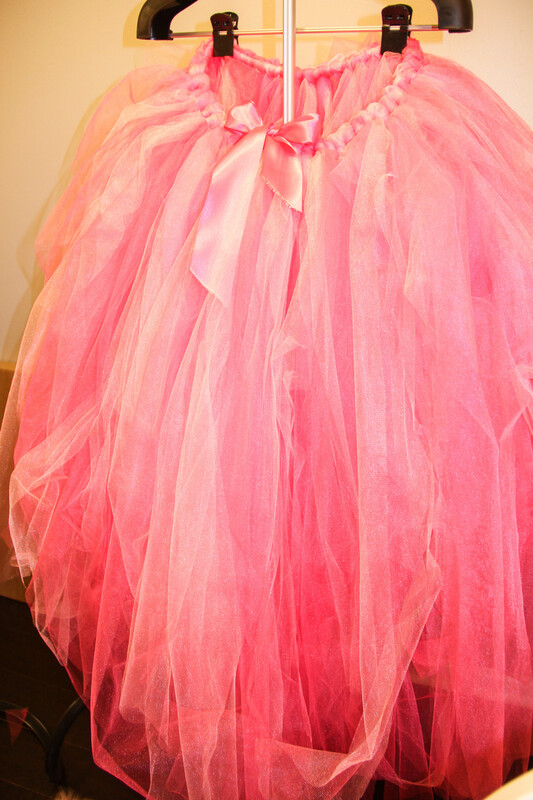 Told you there was pink and tulle everywhere! You can already tell I cut my pieces wayy to long, ha. Oh well. Not sure what happened with the lighting in this pic. 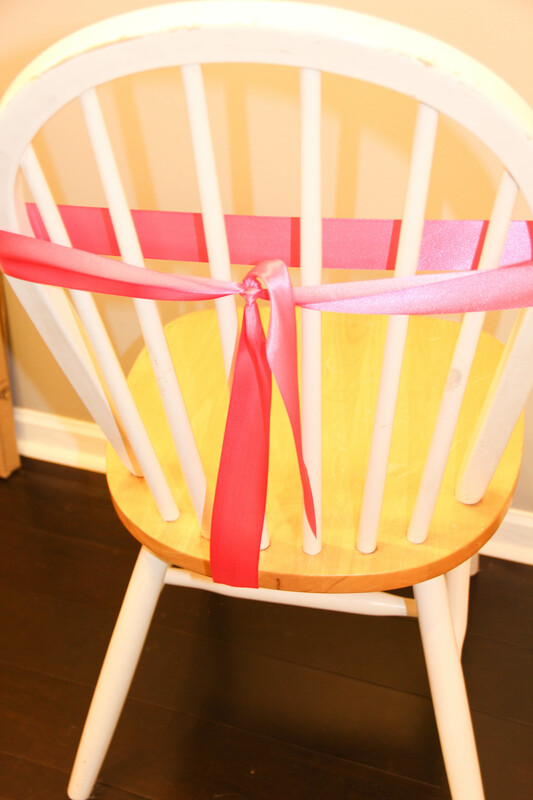 #beginnerphotographer Step 4: Tie your ribbon around a chair or something else stationary so that it won’t move while you’re tying the tulle onto it. Don’t tie it too tight that it’s not easy to untie to measure against your waist as you go but tight enough that it won’t move. I told you I’m so specific. 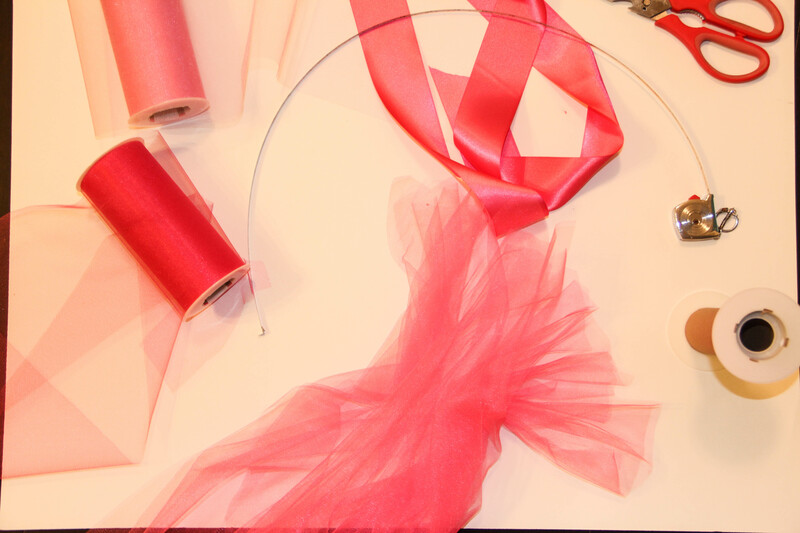 😉 Step 5: Gather 3 pieces of tulle together and fold them in half. You can either have all 3 pieces be the same or do one of each color like I did. Either way is cute. 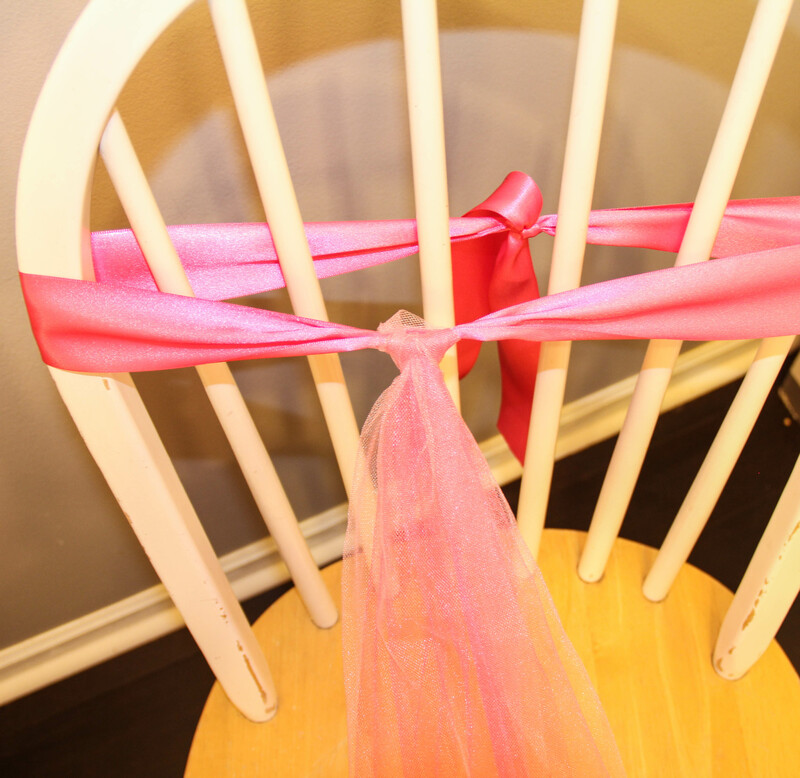 Put the loop on the inside of the ribbon and then fold it over the ribbon and pull the tulle through the hole. Pull it tight from the knot. 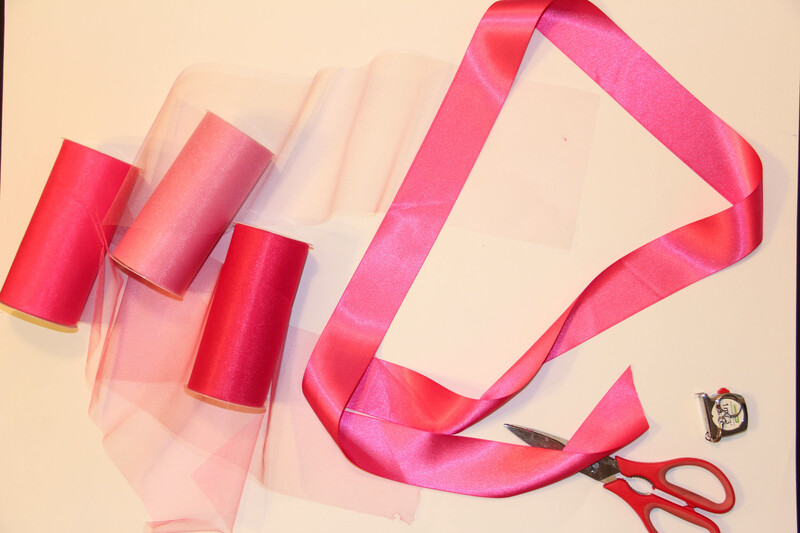 Continue this step all over the entire ribbon. 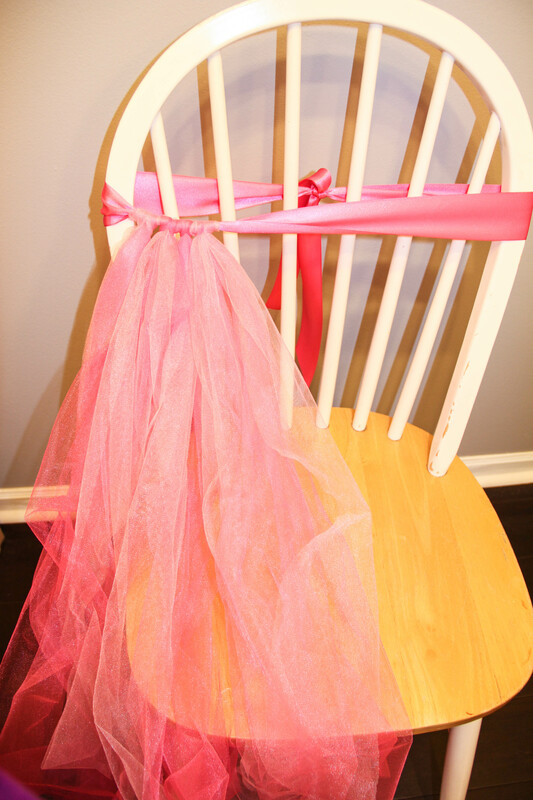 Step 6: Once you have finished tying your tulle around the ribbon its time for the fluffing part. So the side that is facing out on your ribbon is the side that goes against your body. The side where the knots look like men’s ties faces out. I went through each piece and fluffed the knot a little. 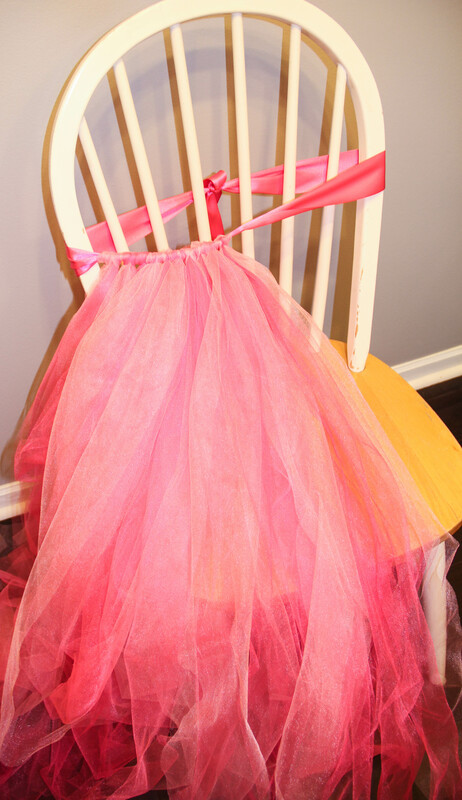 Since it’s layers of tulle you can stretch the knot up and down on the ribbon to fill out more. I then put the skirt on and fluffed them some more. I trimmed the ends of the tulle to make sure it was mostly symmetrical all the way around. The nature of this DIY will allow for some pieces to be longer then the other which looks cute but you don’t want any weirdly long pieces hanging down that scream out I made this myselffff. You know what I mean. Do you all have your Halloween costumes picked out? I’m thinking I need to incorporate this skirt into my costume somehow. Roo is wearing hers with her unicorn costume so we’ll be matching a little. I’m thinking maybe Princess Peach and the hubs can be Mario or does she like Luigi? I can’t remember. Either way I think that will be cute! Thanks for stopping by and have a wonderful Wednesday! PS- One of my favorite accessory sites, Baublebar is having 25% off site wide through tomorrow when you apply code ‘amigos’ at checkout! Hurry and grab some of my faves like my medium monogram necklace or the extra large monogram necklace which I finally pulled the trigger on and can’t wait to get or this ring! Soo many goodies! Love this — will be making for my girls — and SO glad it’s a no sew (even though the hubby got me a sewing machine for Christmas… two years ago! oops!) Wondering what you wore underneath since there is no slip/lining?